The Surrender Tree: Poems of Cuba's Struggle for Freedom by Margarita Engle is a captivating collection that will elicit a passionate response from young activists and historians. It is also a great recommendation for kids who don't like long stories, since the poems are very brief and are related by various narrators. Cuba's three wars for independence raged on as Rosa la Bayamesa, a nurse, tended to the sick and the injured. Using medicine made from plants, she helped the fallen soldiers, the children, even those who fought for the other side. This verse novel is based on actual events and people, and it follows the main character's life from 1850 to 1899. Even when they were pursued by her enemies, Rosa and her husband Jose never stopped helping others. Jose and a few other supporting characters, such as a little girl named Silvia, step in from time to time to share a poem. Rosa is the driving force behind the story. We could all learn something from her selflessness and determination. The Surrender Tree was named a 2009 Newbery Honor Book and a Bank Street Best Children's Book of the Year, is listed among the ALA Best Books for Young Adults, and also won the Pura Belpre Medal for Narrative and the Bank Street Claudia Lewis Award. This book is available in multiple fashions - in English, in Spanish, and the audio book has multiple narrators, one for each of the main characters. Give it a read, give it a listen, recite it, share it! Labels: From Slam to Sonnets , See the World , War - What Is It Good For? Just look at the superhero movies playing now or in the near future -- from Deadpool and Suicide Squad to the darker storylines of Batman v. Superman, Captain America: Civil War, and pretty much the entire Wolverine franchise, and it's clear that this is the Age of the Antihero. Viewers are burned out on the simple, heroic straight arrow. These are more complicated times, after all. We don't want Boy Scouts; we want vigilantes. 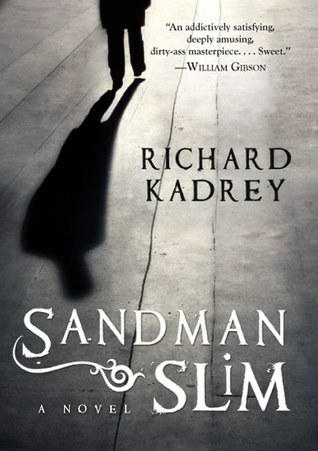 We don't want Harry Potter -- we want Sandman Slim. Epic! There really is no other word to describe the vast scope of this fantastic story. A tale told directly from the one that lived the events. An orphan boy, a street rat, a musician and a magician all in the same person. Kvothe started life in a troupe of travelling performers where he learned the art of entertaining a crowd through acting and music. His whole troupe is killed one day and this event shapes the focus of young Kvothe. No longer does he wish to be a simple trouper, he wants revenge. He wants to go to the University to learn where the killers come from, who they really are, and the magic he needs to know in order to destroy those that killed his whole family. 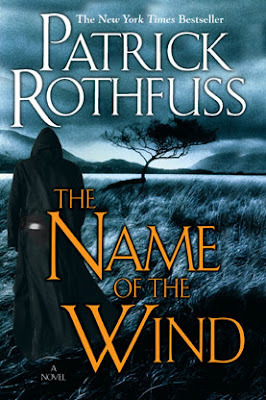 Fans of the Harry Potter, Eragon, Ranger's Apprentice, and Lord of the Rings series will love this amazing first installment in Rothfuss' Kingkiller Chronicles. There's something wrong with the spaceship Intrepid. New space fleet member Andrew Dahl and other new recruits, called "ensigns" start to realize that one the dreaded "away" missions, mission where teams are sent out to explore distant planets, at least one the new recruit dies. They spend their time trying to work it out, is it simply luck? Is there some hidden formula to surviving an ice shark attack? Or the dreaded "death by door malfunction?" Turns out there is something fishy going on, I'll do my best not to spoil it in the next section. I picked this book up because of its title and appealing cover image. 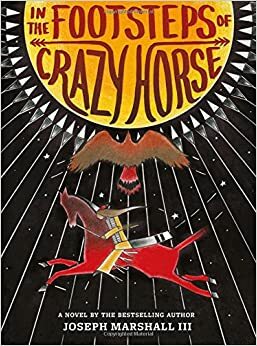 While I would not have been disappointed if the story dealt with an American kid from the suburbs taking a trip out West, this book exceeded my expectations because it features Native American protagonists engaged in thoughtful introspection. 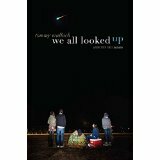 In Tommy Wallach’s pre-apocalyptic novel We All Looked Up, the fault is not in our stars but in one particular star. An asteroid, more accurately, one whose path threatens a collision with our own planet. Nicknamed “Ardor,” the interstellar visitor drifts inexorably toward Earth, its inescapable doom wicks away inhibitions, and the worlds of four Seattle high school students intersect as society crumbles around them. Like The Breakfast Club, Wallach’s novel brings together high school students from disparate social groups: Andy, the skateboarding slacker who is also a musician; Anita, the overscheduled overachiever living her parents’ dream; Peter, the basketball star who has already started to question the future drawn out for him; and Eliza, the artistic beauty with the besmirched reputation. Only this club faces not Saturday detention but world destruction—teenagers often think small things are the end of the world, so how might they respond when it really is the end of the world? What truly matters when not only you but also possibly all of humanity has a specific expiration date? How do our reputations matter if we can count our final days on a calendar page? What are we left with when what we’ve based our lives on is no more? Amid the couplings and uncouplings (I am tempted to say that the novel could also be called We All Hooked Up—not as a criticism, mind you), the family issues and the violence, Wallach drives us to consider the fundamental philosophical questions of what it means to be human. And the connections between us all, connections we shouldn’t need imminent catastrophe to recognize. Stripped of its macro level of pre-apocalyptic doom, We All Looked Up is the story of four teens struggling to become who they are, the same struggle we all face in our non-apocalyptic lives. As the main characters all look inward, We All Looked Up shows us the complexity behind the teen clique stereotypes, making it (like The Breakfast Club) a story of unexpected depth. As a reading teacher, I think Wallach’s novel makes an excellent ladder with Vonnegut (explicitly referenced in We All Looked Up) and the pre-apocalyptic The Last Policeman series by Ben Winters. All three authors help us see that whether the world is ending or it only feels like it (and maybe it always feels like it), the end of the world doesn’t have to mean the end of being human. I learned to beat my father at chess years ago when I read Fred Reinfeld's Chess in a Nutshell, a nice introduction to the game. 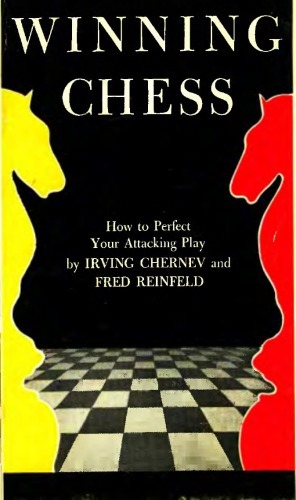 Winning Chess: How to Perfect Your Attacking Play is a reprint of Chernev and Reinfeld's 1948 Winning Chess, which was then subtitled How to See Three Moves Ahead. Fortunately, this new edition is updated with algebraic notation. Most readers these days will appreciate that, I'm sure. The book includes twenty chapters of instruction on tactics. Each chapter has a series of scenarios to illustrate how to do a pin, a fork, a double attack, discovered check, double check, etc. You learn how to identify your opponents "overworked pieces," self defense, "design for checkmate," and so on. There are quiz problems at the end of each chapter to encourage the reader (I find them encouraging, anyway.). I have not yet looked at the final chapter of six illustrative games, but I expect they will be helpful, too. I can't really give an excerpt from the book. Each scenario has two diagrams of the chess board. The first view sets the scene, and you can try to figure a good sequence of moves. The authors then show their preferred moves, and the second view of the board is worth studying too, because there are various possible outcomes to consider. I host a Chess program at the library every week and Winning Chess has improved my game. I recommend this and any other of Fred Reinfeld's chess books. He writes well (Not always the case in chess books) so the instruction is easy to understand. When I heard this one compared to a cross between DIARY OF A WIMPY KID and The Walking Dead, I couldn't pass it up. After it was snatched up by one of my students, I was able to get my hands on it. What fun! Jack Sullivan's life has been a disaster. He is used to being shuffled from one foster family to another. Now he finds himself totally on his own after the apocalypse hits his town. Surrounded by zombies and countless other fearsome monsters, Jack is living in the treehouse in the backyard of his most recent foster family. He has cleverly fixed up the place so he can defend himself and enjoy some entertainment at the same time. After all, why let a little thing like the apocalypse ruin everything. If you're growing up today and you're into young adult science fiction and fantasy, you are spoiled. Terribly, awfully spoiled. New titles arrive weekly and a lot of them are damned good. You will never ever get through all of YA SFF published, and certainly not while you are still a YA. It was not always thus. Even a couple of decades ago, things were sparser. Remember that the reason JK Rowling had difficulty publishing the first of the Harry Potter novels was the widely held belief in the publishing industry that "kids just weren't that into fantasy." Scroll back a few more decades and you have only a smattering of titles (including the Earthsea books I wrote about a while back). Scroll back just a little further to the 1930s and there's really no YA SFF. 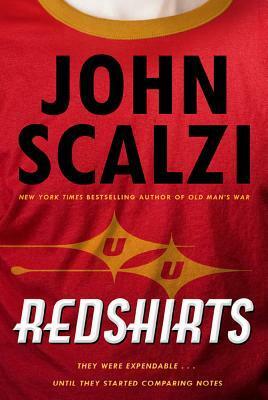 YA is not really a concept at all and SF was just emerging from infancy, about it enter its Golden Age. 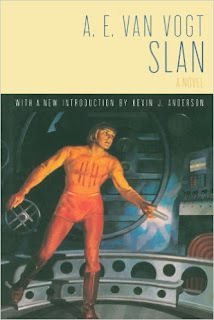 Then in 1940 Slan, by AE Van Vogt, was published serially and became, arguably, the first YA science fiction novel.